ActiveCampaign is a type of powerful email marketing and CRM software, that when configured and utilised effectively, is an amazing tool to boost, track and engage with leads from your website. It can automatically track your subscribers’ movements across several digital channels, giving you a clear picture of user behaviour, and allows you to more effectively target users at various stages of your sales funnel. Easily track the behaviour of your subscribers across multiple lists, and your website! For example, if one of your subscribers clicks a link in your email and visits your site, you’ll see which pages they viewed. You’ll also then be able to see if they came back for another look anytime in the future, and see exactly which pages they viewed. A great application for this, is to be able to send an offer to one of your subscribers once they’ve viewed a certain page or product category a certain amount of times. A bit creepy, but every marketer’s dream! 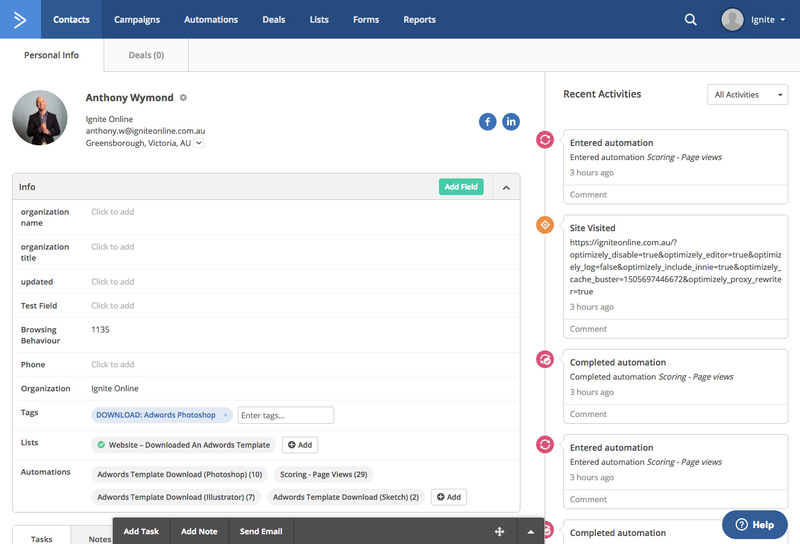 Automations and tagging are the main power behind ActiveCampaign. 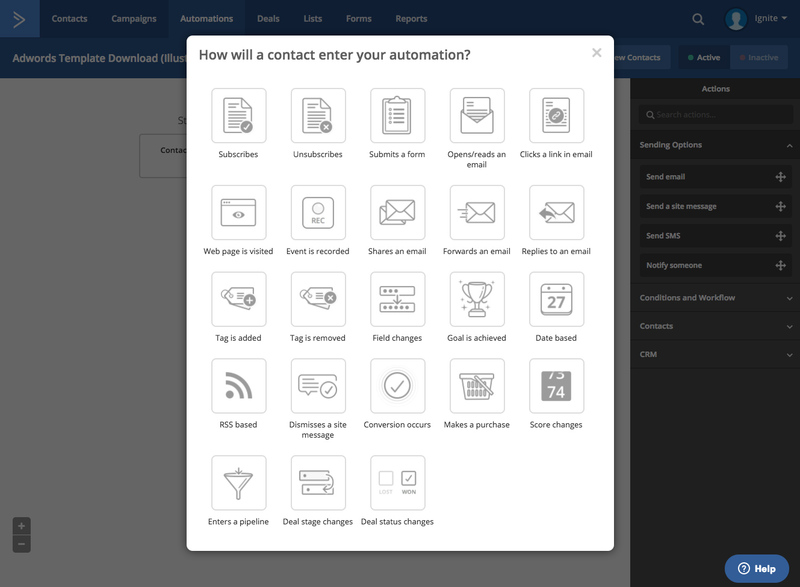 Easily create complex automations triggered to begin based on a range of events, like a user viewing a web page, making a purchase, submitting a form or subscribing to a list. For example, if a customer were to purchase product X, you could email them instructions on how to get the most out of that product, wait three days, then send a follow-up email checking in on how the customer is going before ultimately asking for a review. Furthermore, given your customer would have been ‘tagged’ as having purchased product X, you could choose to send a campaign to all subscribers, besides those tagged as having previously purchased it. Nobody likes being sold something they already have! This is a really basic idea of where you could begin. From here, your automations could get infinitely more complex. There are plenty of ready-made automations to help you get started, covering a range of functions like ‘increasing revenue’, ‘increasing traffic’, ‘sales team automation’ and more. 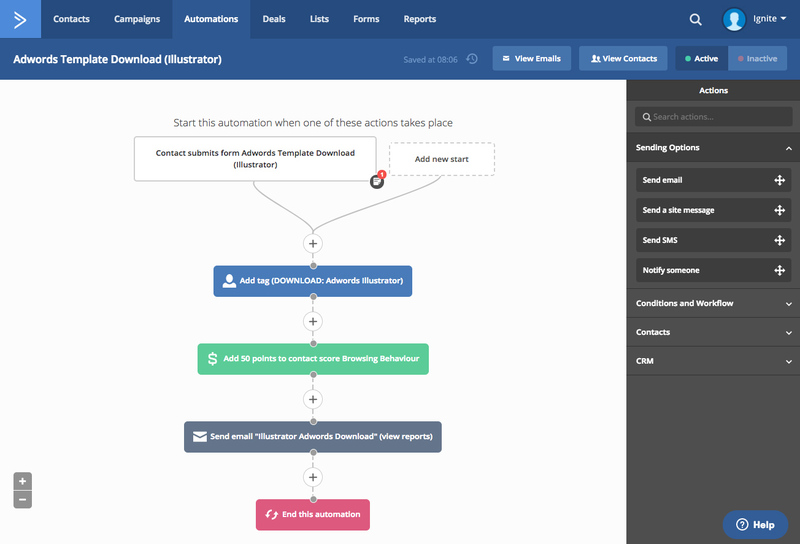 ActiveCampaign makes it easy to share a custom automation between users or even accounts, so you will never have to spend hours recreating automations that you have already built. Don’t worry – this is much less mind-bending than the movie, Inception, so stay with us! When you have a subscriber that is part-way through an automation, it is possible to then trigger more automations based on their activities. For example, if a subscriber clicked on a link for ‘red shoes’ in one of your emails, you could use this as a trigger to send them a series of emails, educating them about your red shoes offering – possibly with progressively greater discount codes or deals attached. If you are familiar with other email marketing platforms, you will know the pain of having to pay for the same subscriber across multiple lists. ActiveCampaign is smart enough to realise when a subscriber already appears in your database, so groups the contact’s information into the one profile. In addition to saving you money, the great thing about this is that you get a holistic view of that subscriber’s activity across all of your touch-points, including email, social media and your website. Another cool feature of ActiveCampaign is the ability to wait until a specific time within a subscriber’s time-zone, before sending them an email. This is especially useful if your subscriber audience is global and you want to ensure you send your emails at a particular time of day. For example, if you would like to send your campaign so that your users globally receive it first thing in the morning at 7am, ActiveCampaign can easily facilitate this. Commonly, a huge pain point for email marketers is keeping a newsletter list up-to-date with your latest contacts. To have to login to database software to add a single subscriber is a huge waste of time! Fortunately, the ActiveCampaign extension for Gmail eliminates this problem and makes it a breeze to not only add subscribers, but also manage their details, subscribed lists and tags. Once you start creating more and more complex automations, lists and forms, it is a good idea to start using some custom naming conventions to keep everything organised. Below are a few we use, but these may vary depending on your own requirements. 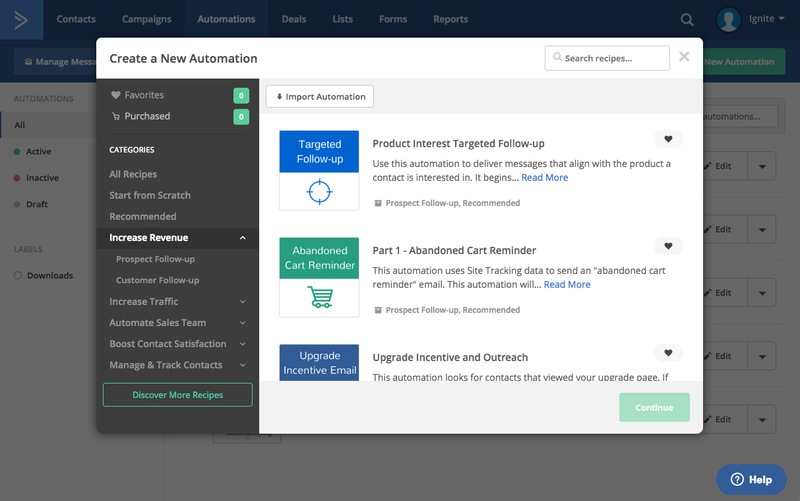 Deal pipelines allow you to track a contact’s movement through your sales funnel. You can keep in touch with them throughout, trigger certain automated emails based on the stage they are in and nurture them all the way through to close. Below are a few deal pipelines that may be useful for you. Conditional content in emails is critical for delivering the right message to the right person. ActiveCampaign makes it easy to create emails with conditional content blocks, which are shown or hidden depending on the variables you set up. For example, you could list all of your products, besides the ones that the customer has been tagged as having previously purchased. Or, you could show different content based on your customer’s location and tailor a totally different message for your interstate and overseas visitors. It seems a bit silly that this is actually a benefit, but traditionally other software has made it difficult to email individual subscribers. Generally speaking, everything needs to be completed via a campaign, which is a huge effort for one single email. 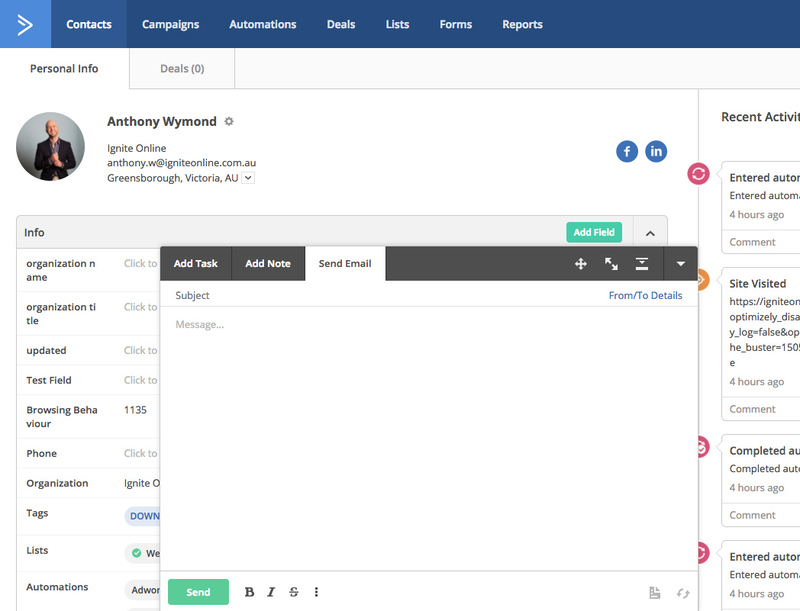 ActiveCampaign also functions as a CRM system (Customer Relationship Management), making it easy to send a short email to any of your subscribers – just find their contact, and click the ‘Email’ button! You can also easily create tasks such as ‘Call on Tuesday’ or add a note to their profile. Want to list the latest top 5 articles from your website, or a list of the current trending articles in your industry? Don’t waste time copying and pasting these into an email, simply add an RSS feed and have this list imported directly into the email. 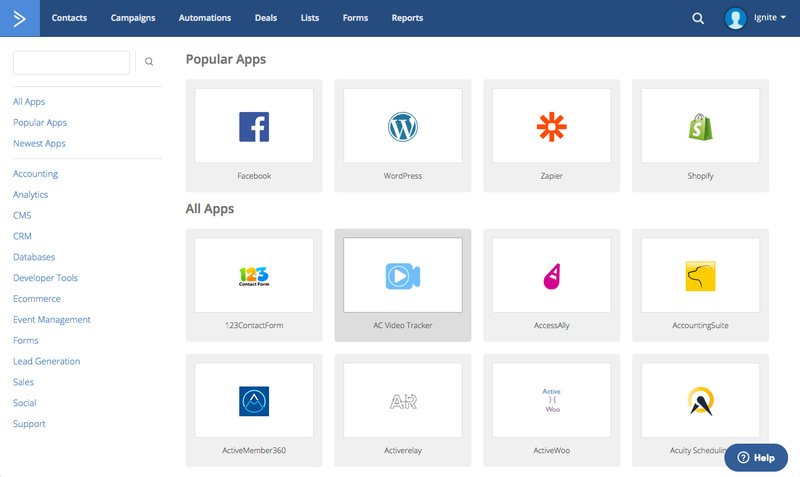 A huge range of integrations are available to further extend the power of ActiveCampaign. Facebook, WordPress, Zapier, Shopify & Unbounce are a few of the most popular, with hundreds more available. Easily share your valuable subscriber data between your software. ActiveCampaign is a powerful step-up from other email and marketing systems, and could be a powerful additional to your website and online sales machine. Get in touch with us if you are interested in a strategy for planning, configuring and managing all of the above for you!